Healthcare related outpatient enterprises provide services that do not require hospital admission and may be performed outside the premises of a hospital. Similar to valuation of any business, valuations of outpatient enterprises should include consideration of the three general approaches to valuation (i.e., the income approach, the market approach, and the asset/cost approach). The specific valuation methods selected under each engagement will be guided by the facts and circumstances surrounding the hypothetical transaction of the subject property interest (e.g., availability of data, nature of the current transactional marketplace). This article focuses on utilizing a market approach to value outpatient enterprises. Healthcare related outpatient enterprises provide services that do not require hospital admission and may be performed outside the premises of a hospital. Similar to valuation of any business, valuations of outpatient enterprises should include consideration of the three general approaches to valuation (i.e., the income approach, the market approach, and the asset/cost approach). The specific valuation methods selected under each engagement will be guided by the facts and circumstances surrounding the hypothetical transaction of the subject property interest (e.g., availability of data, nature of the current transactional marketplace). This article focuses on utilizing a market approach to value outpatient enterprises, while other articles in this series address the use of an income approach and an asset/cost approach to value outpatient enterprises. Applying valuation multiples developed from the comparable transactions to the subject property interest. Two widely utilized market approach based methods for valuing healthcare related outpatient enterprises are the Guideline Transaction Method, also referred to as the Merger and Acquisition Method, and the Guideline Public Company Method. Under both the Guideline Transaction Method and the Guideline Public Company Method, valuation analysts should develop a sense for the universe of typical purchasers (e.g., horizontal consolidators versus vertical integrators) of property interests similar to the subject property interest by reviewing industry newsletters (e.g., Irving Levin Associates’ Healthcare Deal News, Definitive Healthcare’s Mergers & Acquisitions News). The Guideline Transaction Method is based upon the theory that an indication of value of the subject property interest can be derived from the valuation multiples of transactions involving entire businesses or entire company divisions. A valuation analyst may utilize transaction databases (e.g., Irving Levin Associates, Mergerstat, Done Deals, Pratt’s Stats, IBA Market Data, Bizcomps) to assist in the search for comparable transactions. Identifying transactions of outpatient enterprises in which the target property interest shares badges of homogeneity with the subject property interest may be particularly difficult for valuation analysts because of the significant differences that exist between the nature, size, procedure mix, payor mix, and reimbursement and regulatory environments, which may ultimately have a significant impact on the valuation ratios for these different types of outpatient enterprises. For example, many cardiology practices offer high margin diagnostic testing services and as a result, may transact at higher valuation multiples than many internal medicine practices, which may not provide diagnostic testing services, and therefore sell for lower valuation multiples. Additional badges of homogeneity for physician practices include payor mix, number of physicians, and geographic proximity to hospitals. Another example that underscores the importance of identifying transactions where the target property interest shares badges of homogeneity with the subject property interest may be found by examining transactions of freestanding diagnostic imaging centers located within 35 miles of multiple hospital campuses. This proximity may allow the center to command a valuation premium over other freestanding diagnostic imaging centers because of their ability to bill as a hospital outpatient department when purchased and clinically integrated with a hospital. Additional badges of homogeneity to consider regarding freestanding diagnostic imaging centers include services offered, utilization rates, and any state licensure requirements, such as certificate of need laws. A key point of consideration when using the Guideline Transaction Method is that valuation analysts should adjust the transaction price for non-cash terms of the deal because implicit in the definition of Fair Market Value is the requirement that payment is made in cash or its equivalent. Therefore, if any of the transaction considerations in the guideline transactions were paid in company stock, management or consulting agreements, earn outs and/or notes, the reported transaction price may require an adjustment to reflect the true cash value. The other widely utilized market approach based method to valuation is the Guideline Public Company Method, which is based upon the theory that an indication of value of the subject property interest can be derived through the valuation multiples of the freely traded, minority interest registered shares of publicly traded companies. Identifying public companies is particularly challenging for valuation analysts appraising outpatient enterprises because, in many instances, public companies with sufficient badges of homogeneity may not exist. For example, in September 2014, the Duff & Phelps Healthcare Sector Update reported that there were no publicly traded physician practices. Also, the September 2014 Duff & Phelps Healthcare Sector Update reported that there were two publicly traded ambulatory surgery centers (ASCs). A valuation analyst should use care when using databases of publicly traded companies (e.g., the Companies by SIC Code index in Ibbotson’s Cost of Capital Yearbook; the SEC’s Electronic Data Gathering, Analysis and Retrieval (EDGAR) Database, Yahoo! Finance’s Industry Center, Bloomberg, S&P Capital IQ’s Industry Surveys) to assist in the search for comparable public companies because companies within a Standard Industrial Classification (SIC) code may lack sufficient homogeneity. For example, SIC code 8011: Offices and Clinics of Doctors of Medicine is shared by many dissimilar companies from medical practices, to freestanding emergency departments, ASCs. A key point of consideration when using the Guideline Public Company Method is that valuation analysts should adjust the valuation ratios utilized in the analysis for the differences between the guideline public companies and the subject property interest (e.g., adjustments for expected growth, capital structure, or size). 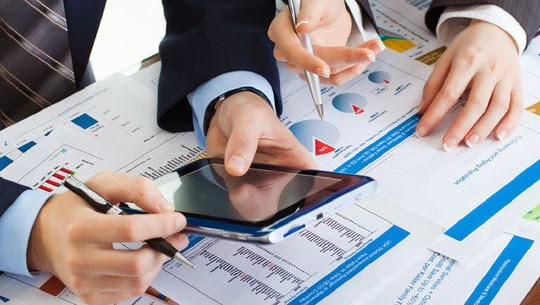 A valuation analyst may want to adjust the valuation ratios for the differences in size between the subject property interest and the guideline public companies utilized because, historically, small companies have been perceived as more risky and, as a result, have had lower valuation ratios than larger companies. In selecting which market approach based methods to employ, a valuation analyst should balance consideration of the sufficiency, validity, and efficacy of the available transactional data reported, as well as, the applicability of such indications of value as may be determined to arise out of observations from such distinct sources as historical transactional data of privately held companies and historical transactions of minority equity interests in publicly traded companies. The fourth and final installment of this series will address the use of an asset/cost approach to value outpatient enterprises. “Valuing a Business: The Analysis and Appraisal of Closely Held Companies”, By Shannon Pratt and Alina Niculita, 5th Edition, New York, NY: McGraw Hill, 2008, p. 63, 262-266, 310-311. “Healthcare Valuation: The Financial Appraisal of Enterprises, Assets, and Services”, By Robert James Cimasi, MHA, ASA, FRICS, MCBA, AVA, CM&AA, Hoboken, NJ: John Wiley & Sons, 2014, p. 96-98, 102. Pratt & Nicultia, 2008, p. 310-311. See NACVA QuickRead article entitled “Utilizing the Income Approach to Appraise Outpatient Enterprises” for further discussion on the value drivers of outpatient enterprises. “Requirements for a Determination that a Facility or an Organization has Provider-Based Status” 42 C.F.R. § 413.65(e)(3)(i) (11/6/2014). See NACVA QuickRead article entitled “Determination of the Appropriate Standard of Value and Premise of Value” for further definition of Fair Market Value. “Healthcare Sector Update”, Duff & Phelps, September 2014. “Description for SIC 8011: Offices and Clinic of Doctors of Medicine”, Occupational Safety and Health Administration, 2014, https://www.osha.gov/pls/imis/sic_manual.display?id=189&tab=description (Accessed 11/11/2014). “Financial Valuation: Applications and Models”, By James Hitchner, 3rd Edition, Hoboken, NJ: John Wiley & Sons, 2011, p. 291-308. Robert James Cimasi, MHA, ASA, FRICS, MCBA, CVA, CM&AA, serves as Chief Executive Officer of HEALTH CAPITAL CONSULTANTS (HCC), a nationally recognized healthcare financial and economic consulting firm headquartered in St. Louis, MO, serving clients in 49 states since 1993. Mr. Cimasi is the author of numerous chapters in anthologies, textbooks, and legal treatises; has published articles in peer reviewed and industry trade journals, research papers, and case studies; and is often quoted by healthcare industry press. His most recent publications include: “Accountable Care Organizations: Value Metrics and Capital Formation” [2013-Taylor & Francis, a division of CRC Press]; “Healthcare Valuation: The Financial Appraisal of Enterprises, Assets, and Services” [2014-John Wiley & Sons]; and, the soon-to-be released “Adviser’s Guide to Healthcare–2nd Edition” [2015-AICPA]. Mr. Cimasi can be contacted at: rcimasi@healthcapital.com or (800) 394-8258. Todd A. Zigrang, MBA, MHA, FACHE, ASA, is the President of HEALTH CAPITAL CONSULTANTS (HCC), where he focuses on the areas of valuation and financial analysis for hospitals, physician practices, and other healthcare enterprises. Mr. Zigrang is the co-author of the soon-to-be released “Adviser’s Guide to Healthcare–2nd Edition” [2015-AICPA], numerous chapters in legal treatises and anthologies, and peer-reviewed and industry articles such as: The Accountant’s Business Manual (AICPA); Valuing Professional Practices and Licenses (Aspen Publishers); Valuation Strategies; Business Appraisal Practice; and, NACVA QuickRead. He is a Fellow of the American College of Healthcare Executives (FACHE) and holds the Accredited Senior Appraiser (ASA) designation from the American Society of Appraisers, where he has served as President of the St. Louis Chapter, and is the current Chair of the ASA Healthcare Special Interest Group (HSIG). Mr. Zigrang can be contacted at: tzigrang@healthcapital.com or (800) 394-8258.